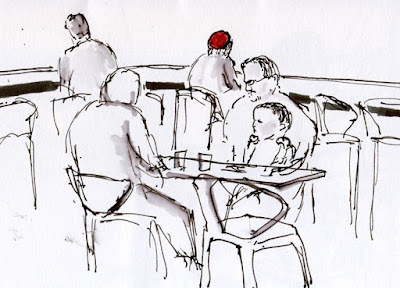 Urban Sketchers Seattle: Happy Birthday, Elvis! 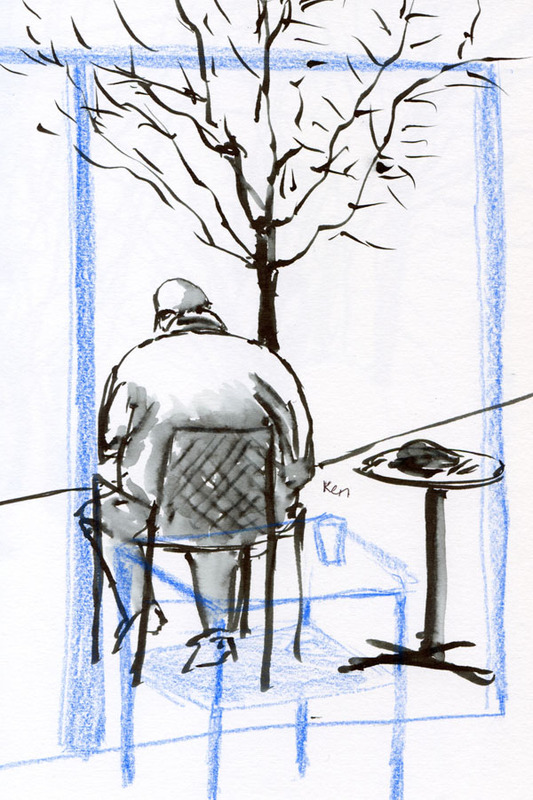 1/8/16 Ken sketching outside Top Pot. 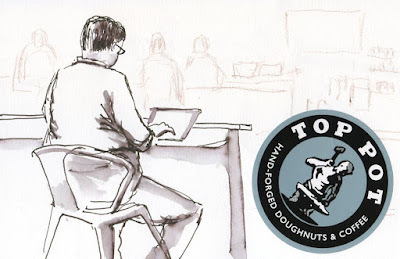 If the Friday sketchers hadn’t met at Top Pot Doughnuts this morning, I probably would have gone through the day unaware that today is Elvis’s birthday. But thankfully we did meet at the shop’s West Seattle location on Alki Avenue, where the “hand-forged” doughnut company was recognizing what would have been the King’s 81st birthday. 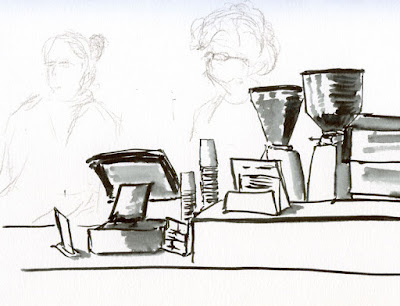 I decided to pass on the King’s Rings (maple-frosted doughnuts encrusted with thick squares of bacon), but there was plenty else to sketch in the large yet cozy space. 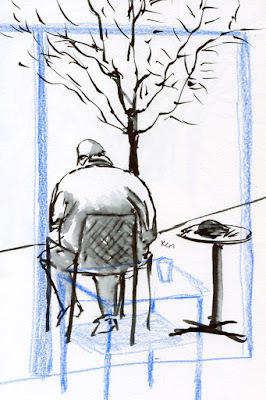 During a typical 2.5 hour sketch outing, I tend to do two or three sketches. 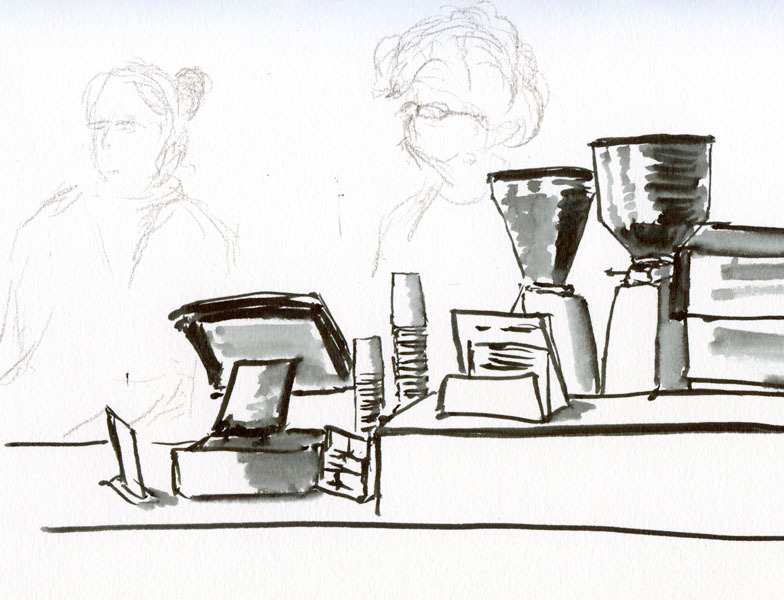 Today I felt like doing a series of small sketches. 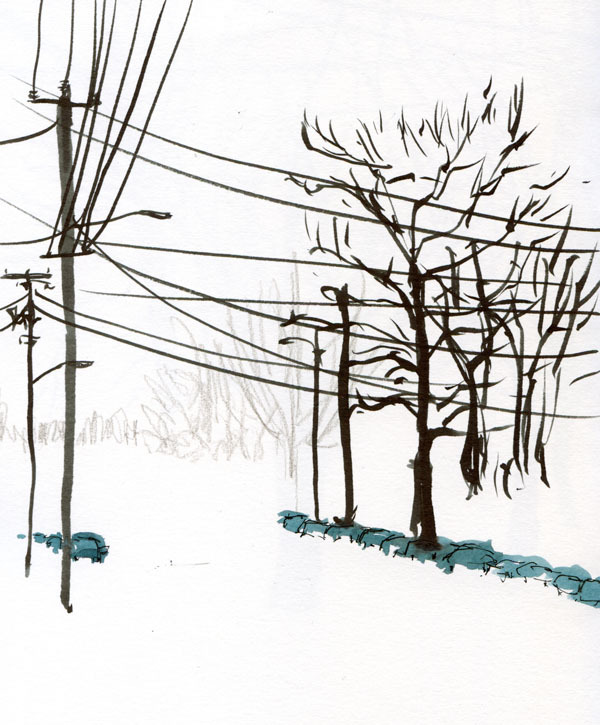 I even ventured outside the store for one sketch of the street, but that didn’t last long (my phone weather app said it was 37 F). The last time I sketched Elvis was three years ago at Drawing Jam. Thinking that the King’s Rings might prompt an appearance, I was ready, but no Elvis was sighted. Maybe next year. 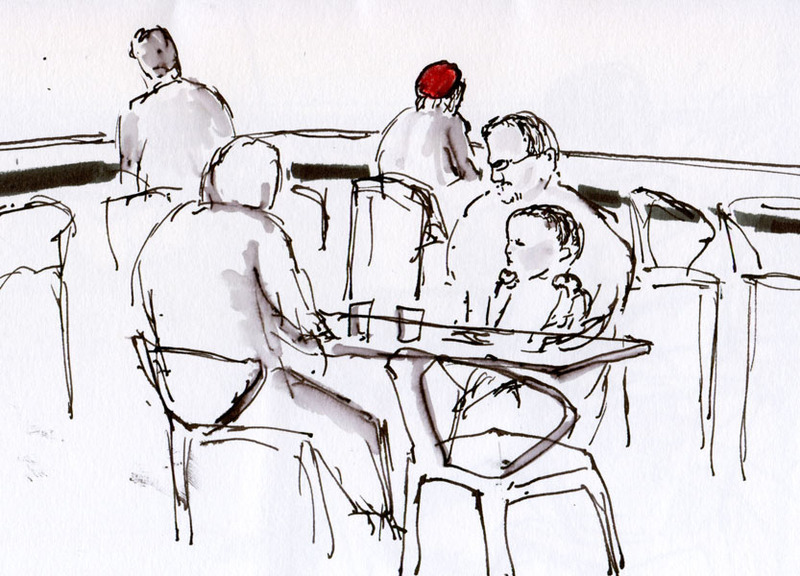 This brought back fond memories of last time you and I sketched at Top Pot......another chilly day! 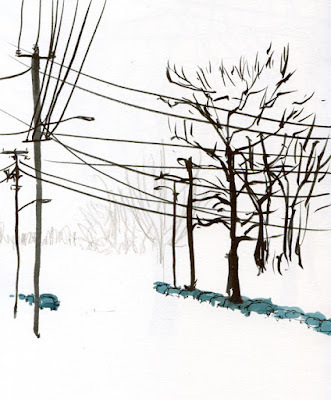 I enjoyed your sketches and account of the day. Sorry to have missed out, but apparently Elvis has left the building! Michele, I missed both you and Elvis!